My motivation has always been to ensure that we conserve wildlife and nature. The birds, the fish, the deer — nature — need us to speak on their behalf since they can’t vote. It is up to us to be their voice. We do it not just for ourselves, but for everyone... and for those still to come. It is with deep sadness that we announce the passing of our friend and long-time CWF Board Member Pierre Latraverse. 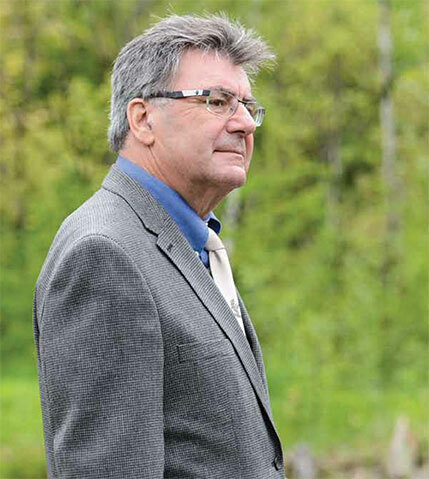 Pierre was an ardent conservationist and a valued member of our Board who brought his expertise in Quebec conservation issues to the national level and acted as a catalyst to promote and support national conservation and education initiatives throughout the province. At our Annual Award’s Banquet in June, we were honoured to present Pierre with CWF’s Roland Michener Conservation Award, in well-deserved recognition of his tremendous contributions. We invite you to read more about Pierre’s work here. His passing is a loss to CWF and conservation in Canada.